4156300 FG35-1 KOMATSU FG35-1 LPG/Gasoline forklift. Spare parts catalog. Service Manual. 4156301 FG35C-4 KOMATSU FG35C-4 LPG/Gasoline forklift. Spare parts catalog. Service Manual. 4156302 FG35ST-4 KOMATSU FG35ST-4 LPG/Gasoline forklift. Spare parts catalog. Service Manual. 4156303 FG35T-4 KOMATSU FG35T-4 LPG/Gasoline forklift. Spare parts catalog. Service Manual. 4156304 FG35ZT-4 KOMATSU FG35ZT-4 LPG/Gasoline forklift. Spare parts catalog. Service Manual. 4156305 FG35ST-5 KOMATSU FG35ST-5 LPG/Gasoline forklift. Spare parts catalog. Service Manual. 4156306 FG35ST-6 KOMATSU FG35ST-6 LPG/Gasoline forklift. Spare parts catalog. Service Manual. 4156307 FG35T-6 KOMATSU FG35T-6 LPG/Gasoline forklift. Spare parts catalog. Service Manual. 4156308 FG35ZT-6 KOMATSU FG35ZT-6 LPG/Gasoline forklift. Spare parts catalog. Service Manual. 4156309 FG35BCS-7 KOMATSU FG35BCS-7 LPG/Gasoline forklift. Spare parts catalog. Service Manual. 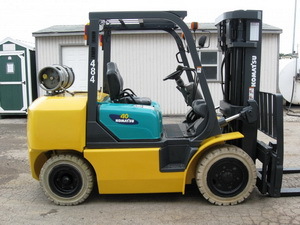 4156310 FG35BSC-7 KOMATSU FG35BSC-7 LPG/Gasoline forklift. Spare parts catalog. Service Manual. 4156311 FG35NT-7 KOMATSU FG35NT-7 LPG/Gasoline forklift. Spare parts catalog. Service Manual. 4156312 FG35ST-7 KOMATSU FG35ST-7 LPG/Gasoline forklift. Spare parts catalog. Service Manual. 4156313 FG35T-7 KOMATSU FG35T-7 LPG/Gasoline forklift. Spare parts catalog. Service Manual. 4156314 FG35ZT-7 KOMATSU FG35ZT-7 LPG/Gasoline forklift. Spare parts catalog. Service Manual. 4156315 FG35BCS-8 KOMATSU FG35BCS-8 LPG/Gasoline forklift. Spare parts catalog. Service Manual. 4156316 FG35ST-8 KOMATSU FG35ST-8 LPG/Gasoline forklift. Spare parts catalog. Service Manual. 4156317 FG35NT-10 KOMATSU FG35NT-10 LPG/Gasoline forklift. Spare parts catalog. Service Manual. 4156318 FG35T-10 KOMATSU FG35T-10 LPG/Gasoline forklift. Spare parts catalog. Service Manual. 4156319 FG35AHT-16 KOMATSU FG35AHT-16 LPG/Gasoline forklift. Spare parts catalog. Service Manual. 4156320 FG35AT-16 KOMATSU FG35AT-16 LPG/Gasoline forklift. Spare parts catalog. Service Manual. 4156321 FG35AT-17 KOMATSU FG35AT-17 LPG/Gasoline forklift. Spare parts catalog. Service Manual. 4156322 FG40C-4 KOMATSU FG40C-4 LPG/Gasoline forklift. Spare parts catalog. Service Manual. 4156323 FG40ST-4 KOMATSU FG40ST-4 LPG/Gasoline forklift. Spare parts catalog. Service Manual. 4156324 FG40T-4 KOMATSU FG40T-4 LPG/Gasoline forklift. Spare parts catalog. Service Manual. 4156325 FG40ZC-4 KOMATSU FG40ZC-4 LPG/Gasoline forklift. Spare parts catalog. Service Manual. 4156326 FG40ZT-4 KOMATSU FG40ZT-4 LPG/Gasoline forklift. Spare parts catalog. Service Manual. 4156327 FG40-5 KOMATSU FG40-5 LPG/Gasoline forklift. Spare parts catalog. Service Manual. 4156328 FG40T-5 KOMATSU FG40T-5 LPG/Gasoline forklift. Spare parts catalog. Service Manual. 4156329 FG40ZT-5 KOMATSU FG40ZT-5 LPG/Gasoline forklift. Spare parts catalog. Service Manual. 4156330 FG40C-6 KOMATSU FG40C-6 LPG/Gasoline forklift. Spare parts catalog. Service Manual. 4156331 FG40ST-6 KOMATSU FG40ST-6 LPG/Gasoline forklift. Spare parts catalog. Service Manual. 4156332 FG40T-6 KOMATSU FG40T-6 LPG/Gasoline forklift. Spare parts catalog. Service Manual. 4156333 FG40ZT-6 KOMATSU FG40ZT-6 LPG/Gasoline forklift. Spare parts catalog. Service Manual. 4156334 FG40T2-7 KOMATSU FG40T2-7 LPG/Gasoline forklift. Spare parts catalog. Service Manual. 4156335 FG40T-7 KOMATSU FG40T-7 LPG/Gasoline forklift. Spare parts catalog. Service Manual. 4156336 FG40ZT2-7 KOMATSU FG40ZT2-7 LPG/Gasoline forklift. Spare parts catalog. Service Manual. 4156337 FG40ZT-7 KOMATSU FG40ZT-7 LPG/Gasoline forklift. Spare parts catalog. Service Manual. 4156338 FG40T2-8 KOMATSU FG40T2-8 LPG/Gasoline forklift. Spare parts catalog. Service Manual. 4156339 FG40T-8 KOMATSU FG40T-8 LPG/Gasoline forklift. Spare parts catalog. Service Manual. 4156340 FG40ZT2-8 KOMATSU FG40ZT2-8 LPG/Gasoline forklift. Spare parts catalog. Service Manual. 4156341 FG40ZT-8 KOMATSU FG40ZT-8 LPG/Gasoline forklift. Spare parts catalog. Service Manual. 4156342 FG40NT-10 KOMATSU FG40NT-10 LPG/Gasoline forklift. Spare parts catalog. Service Manual. 4156343 FG40T-10 KOMATSU FG40T-10 LPG/Gasoline forklift. Spare parts catalog. Service Manual. 4156344 FG40TU-10 KOMATSU FG40TU-10 LPG/Gasoline forklift. Spare parts catalog. Service Manual. 4156345 FG40ZT-10 KOMATSU FG40ZT-10 LPG/Gasoline forklift. Spare parts catalog. Service Manual. 4156346 FG40ZTU-10 KOMATSU FG40ZTU-10 LPG/Gasoline forklift. Spare parts catalog. Service Manual. 4156347 FG45ST-4 KOMATSU FG45ST-4 LPG/Gasoline forklift. Spare parts catalog. Service Manual. 4156348 FG45T-4 KOMATSU FG45T-4 LPG/Gasoline forklift. Spare parts catalog. Service Manual. 4156349 FG45ST-5 KOMATSU FG45ST-5 LPG/Gasoline forklift. Spare parts catalog. Service Manual. 4156350 FG45T-5 KOMATSU FG45T-5 LPG/Gasoline forklift. Spare parts catalog. Service Manual. 4156351 FG45ST-6 KOMATSU FG45ST-6 LPG/Gasoline forklift. Spare parts catalog. Service Manual. 4156352 FG45T-6 KOMATSU FG45T-6 LPG/Gasoline forklift. Spare parts catalog. Service Manual. 4156353 FG45BCS-7 KOMATSU FG45BCS-7 LPG/Gasoline forklift. Spare parts catalog. Service Manual. 4156354 FG45ST-7 KOMATSU FG45ST-7 LPG/Gasoline forklift. Spare parts catalog. Service Manual. 4156355 FG45T2-7 KOMATSU FG45T2-7 LPG/Gasoline forklift. Spare parts catalog. Service Manual. 4156356 FG45T-7 KOMATSU FG45T-7 LPG/Gasoline forklift. Spare parts catalog. Service Manual. 4156357 FG45BCS-8 KOMATSU FG45BCS-8 LPG/Gasoline forklift. Spare parts catalog. Service Manual. 4156358 FG45ST-8 KOMATSU FG45ST-8 LPG/Gasoline forklift. Spare parts catalog. Service Manual. 4156359 FG45T2-8 KOMATSU FG45T2-8 LPG/Gasoline forklift. Spare parts catalog. Service Manual. 4156360 FG45T-8 KOMATSU FG45T-8 LPG/Gasoline forklift. Spare parts catalog. Service Manual. 4156361 FG45T-10 KOMATSU FG45T-10 LPG/Gasoline forklift. Spare parts catalog. Service Manual. 4156362 FG45TU-10 KOMATSU FG45TU-10 LPG/Gasoline forklift. Spare parts catalog. Service Manual.